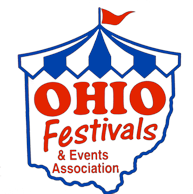 The Ohio Festivals & Events Association is now offering a discounted membership rate for all current GOSA members. Join OFEA for only $100 (a $115 value)! Just let them know you are a GOSA member for the reduced rate, and they will confirm your status with our secretary. This offer also extends to the reservation of an OFEA convention trade show booth and membership combination ($360 vs $375 regular). Thank you to the officers and board of the OFEA for extending this special offer to our membership!